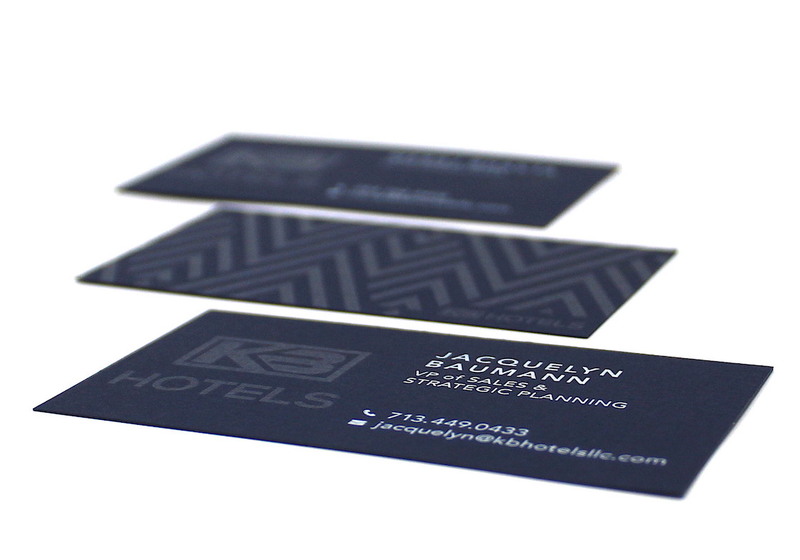 KB Hotels White Ink Business Cards – Subtle Design. Big Impact. Business cards are one of the most important print marketing pieces you can create. Though small, business cards make a huge impact reflecting not only your brand but your personality. At Integ, we are your local printer with vast capabilities helping you create that one of kind business card that will leave a lasting impression on your clients or prospects. KB Hotels LLC entrusted Integ to print their white ink business cards that really stand out and make for a custom look with a high-end feel reflecting their brand and professionalism. The process of designing a business card starts with much more than slapping a logo on a computer generated card containing your contact information. 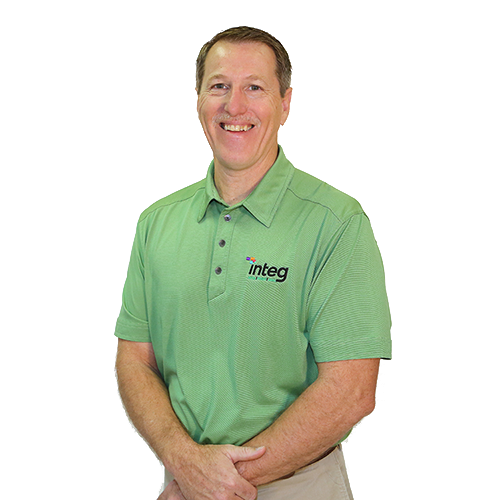 Integ brings master print work to each card, making the process easy and fun. Choosing the right stock impacts the success of your business card. Review different colors, textures, and thickness before making a decision. Professionals communicate so much about their company by the type of stock they choose. Touch and feel your stock options to choose the most attractive option to represent your company. Including your logo on your business card is an obvious choice; however, thinking outside the box can really take the look of your business card to the next level. In this case, KB Hotels chose a clear ink logo on their linen stock showcasing subtle sophistication that really pops in the light. When this card lays flat, the logo disappears, but when you pick it up, the light reflects the clear ink logo. If you choose a colored stock for your business cards, white ink may be a great option to make your information and text stand out. Integ’s white ink technology on this navy linen stock makes for an unforgettable business card. The sky is the limit when it comes to finishing capabilities at Integ. From foil to embossing, our craftsman finish your card beautifully. KB Hotels remain true to the minimalist design approach but offered a surprise on the back showing personality with a chevron pattern consistent with their brand in clear ink and it really paid off. Investing in the perfect business card to showcase your brand and present your information to your customers can’t be replaced. If you need ideas or suggestions, contact us today. Know what you want? Fill out the contact form below and we’ll get you a quote on custom business cards.